The Principality of Vanuku commends the actions of the Chairman from Indrala. The loss of prestige is indeed a worrisome feat. His Highness Choeyun can be assured that I shall be blunt by stating that Dankuk is one of the nations causing this loss of prestige. The Empire of Dankuk is not in any way larger than the other Kingdoms, Principalities and Grand Duchies of Terra nor does the Emperor seem to command large hordes of land holding nobles across his continent. Therefore the title of Emperor seems hollow, would His Highness not agree? Of course I understand the historical precedent to using this title but even monarchies can stand for progress in todays world. 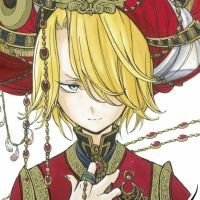 Though suffering a interregnum at the time of the Princes statement, Mikuni-Harustoria is a real Empire, controlling most of the northern continent. We demand the IML confirm that this non-recognition of Imperial Titularly will not apply to the Sovereign of the Eastern Sun. OOC: You do not recognize the dissolution of all colonies or is this something else? The Great Kyo Empire is based upon the homeland of the Kyo, ranging from the Dranian Peninsula and to the south in Jjeokuk and the east. And if you want to focus just on geography, while direct governance is currently limited to Dankuk our claims on Jjeokuk have existed since the 3600s. That aside, a century ago, prior to decolonization, imperial titles were used both to represent history and the present reality. While the colonies are now long lost, we value our imperial history and we will ensure that our modern Empire enshrines that history. The very existence of our Empire symbolizes the resilience of the Kyo in ousting an extensive period of strongly embedded Western rule. We find it very insulting for your principality to degrade the meaning of our Empire and the struggles of the Kyo to achieve what they have in the modern age. OOC: Hulstria was never decolonised. SecluianCrusader was on the brink of doing so but it never actually happened. Captain-Socialist wrote: OOC: Hulstria was never decolonised. SecluianCrusader was on the brink of doing so but it never actually happened. If simple criticism is "insulting" perhaps His Highness should wear a thicker skin in future debates, we are here to speak honest truths and opinions, not to hide behind formalities and falseness. Claims are a great many things but claims make no Empire, the father of our Prince was King of Pontesi, Khan of Jelbania, Prince of Vanuku, Shah of Barmenia and rightful Emperor of the Augustans. Yet today our nation does not claim what we once held, we seem content in today. Traditions are sacred but some traditions are blind to today and deteriorating to the prestige of the royal titles across Terra. But, we shall speak no further and await another statement from the Chairman. Honorable representatives, your statements are noted with great respect. However, I must agree with the honorable member from Vanuku. Both Dankuk and Mikuni-Hulstria are part of the problem. Do not think Indrala is not exempt from such criticism, for it is also responsible for the degradation of imperial titulary. Currently, there is no nation that posses colonies or other lands that can result in a monarch declaring him or herself an emperor or empress. Only Selucia has annexed lands from other nations and they are a republic! The Consuls of Selucia have a greater right to being an 'Augustus', 'Princeps', or 'Caesar' than any other monarch in existence. Do not think people can substitute for lands. If the King of Dankuk can be the Emperor of the Kyo then the chief of an Asli tribe can declare himself the Emperor of the Asli. How nonsensical is that? My friends, we should all follow the example of Vanuku and respect the honor and prestige of imperial titulary. The Prince promotes a hollow, vulgarised conception of what constitutes an Empire, assuming only those who have recently indulged in territorial conquest have a right to Imperial titularly. Tradition, it appears, has no role to play. Therefore, one must assume that nearly all Indralan Emperors must be stripped of their titles posthumously, for aside from the brief period after the defeat of the Luthori Empire Indrala has never maintained a large colonial empire. I had not heard that the Crown prince had abandoned his peoples traditional ancestor worship. How is this absurd system to be based, on square miles controlled? Yet many of the nations against whom the Crown Prince is committing Lèse majesté have never had Kings. Upon what basis does he expect there to be no more Tsars in Deltaria or Trigunia, upon his say so? This conception of Emperorship is based almost entirely upon Western notions of a Emperor merely being "bigger than a king", and portrays a shocking ignorance of the important religious role played by the Emperorship in traditional Gao-Showan societies. God, not the Chairmanship, made the House of Yukio-Labsburg Emperors on this earth. You cannot force us to sign away the Mandate of Heaven. We should also add that Mikuni-Hulstria has always been an Empire, comprised together of the different Crownlands. Mitrania and Budenlar, for example, are de jure Kingdoms under the Imperial throne of Hulstria. But, all this aside, let us come to the most vital point. You are the problem, Crown Prince, you are creating strife within this organisation by your uncalled for and illegal actions. You speak of the "honour and prestige of Imperial titularly", but your proposal seeks to annihilate Imperial titularly from the earth, or else gift it to upstart Republican warlords who happen to have invaded a few lands. This violates the most sacred convention of the IML, to never dethrone another monarch. For what else does this proposal entail, but the destruction of Imperial titularly as has existed for centuries upon centuries and replacing it with new fangled, tacky Kingly titularly? A King of Luthori? A Korol' of Trigunina? Nonsense! The Chairmen is a not a monarch in his own right, you have no authority over us to strip us of our traditional titles unilaterally nor do we recognise any. We shall entirely ignore your proclamations upon this point. You will either cease your Lèse majesté at once, or we will endeavour to remove you from your post or destroy this organisation. You cannot afford to be without Emperor's, Chairmen, for we will never blink first in this confrontation. Why should we, how many brigades does the Chairmanship control? How many atomic weapons? You cannot force us to do anything, but we can influence the affairs of the IML. Stand down, and cease your prattling, lest your further anger the Divine Sovereignty of the Eastern Sun. The Principality of Vanuku formally condemns the statements and threats of the anonymous aggressor from Hulstria. As for their question on how many brigades and atomic weapons the Chairman commands, let it be known that the Principality stands behind his statements and would not hesitate to enforce his word of truth. Tradition does play a role, if not the primary role in this decision. For an emperor to come about, he must establish an empire. In the past, that was easy through conquest, settling lands, and obtaining vassals. Tradition should be respected and all past emperors should not be stripped of their titles. It is for this reason that we must stop using imperial titulary. Continuing to use imperial titles demeans our ancestors' accomplishments, for they were the builders and maintainers of empires, not us. Great Indrala has the largest empire Terra ever saw. It defeated Luthori, Zardugal, and Sekowo in warfare, obtaining their lands in the East. Indrala also purchased Kazulian colonial lands and then granted them to Dankuk. Without this action, Dankuk would have never been able to call itself an empire. Now, no nations maintain colonies, for they have all been liberated and set free. All nations have had kings. Kingdoms grow out of petty kingdoms, while empires grow out of kingdoms. An empire does not simply magically exist. As for the conception of imperial titulary, my reasoning is based in both Western and Eastern thought. In the West, the title of emperor is passed down to those who can claim legitimate representation of a past empire. 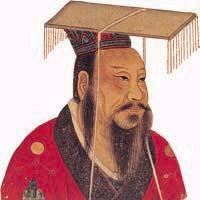 In the East, the emperor is made emperor by God, which is displayed through the support of the people. For the Gao-Showa, there can only be one emperor, only one Son of Heaven. All other monarchs must bow to him and accept their position as kings. At the moment, no one Gao-Showan monarch commands the support of a majority of the people, thus making them all kings.The Mikuni-Hulstrian representative's ignorance of key Jienist principles upon which Gao-Showan government is based is appalling. As for Hulstria, Mitrania and Budenlar were never actually kingdoms. They were arbitrarily designated as so. Nothing in the histories says anything about how Hulstria was formed through conquest. It was formed through a mutual association of colonies against Luthori. The Mikuni-Hulstrian representative is, yet again, most mistaken. This organization will never dethrone a monarch. All monarchs who are members are recognized as monarchs. As far as I am concerned, Mikuni-Hulstria is governed by an elected king, not an emperor. You may see your monarch as an emperor, but this organization does not. Your failure to advocate for the prestige of imperial titulary shows your arrogance in your nation and desire to degrade imperial titles to that of backwater. The IML shall enforce its ruling through words, not weapons. By the way representative, I am not the Crown Prince. I am a Prince of the Blood. Learn my history and your own before opening your mouth.